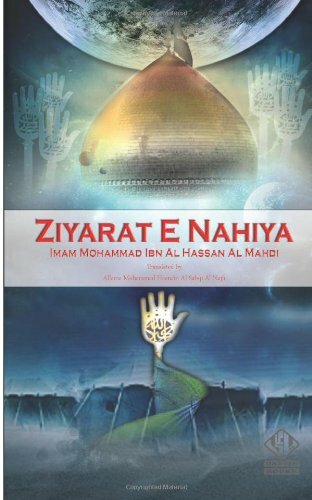 The text of Ziyarat al-Nahiya is found in some early Ziyarat collections such as al-Mazar al-Kabir, by Muhammad Ibn Ja’far al-Mash’hadi, pp. 496-513. It is also reported in al-Mazar, by al-Mufid as mentioned in Bihar al-Anwar, vol. 98, pp. 318-329. Of the several prescribed Ziyarat of Imam al Husain (asws), one was recited by Imam al-Mahdi (atand reached us through one of his four special deputies. For that reason, it is known as the Ziyarat that was issued from the sacred side (Ziyarat al-Nahiya al-Muqaddasa). One of the most important features of this Ziyarat is that in different phrases, Imam al-Mahdi (atfs) graphically describes the events of Ashura and the agony that Imam al-Husain (asws) and his family faced on that horrific and ominous day.